Vintage Tiny Faux Pearl Bar Necklace. 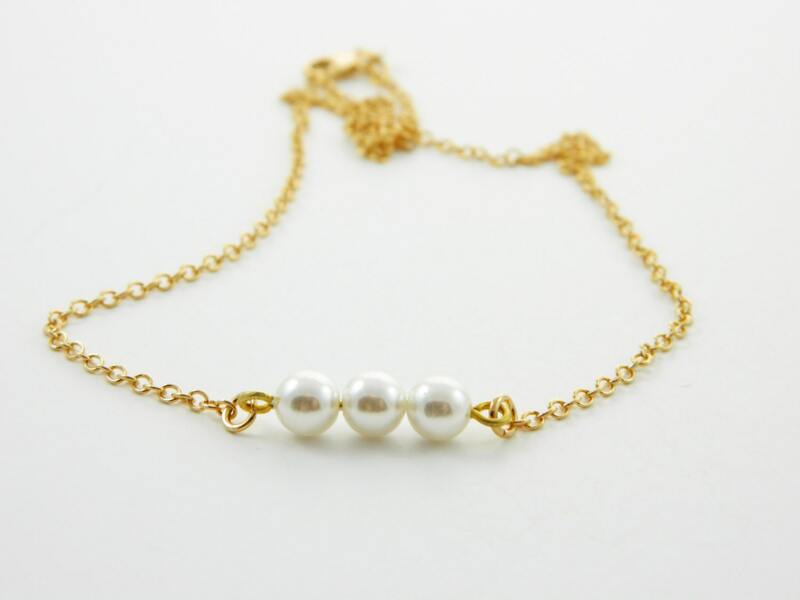 Gold Plated Brass Faux Pearl Connector Necklace. Connector Dimensions: 5mm H x 20mm W.
Pendant Material: Gold Plated Brass and Faux Pearls.